The Georgia Chain Gang Is Rolling in 2010! It’s official – the Georgia Chain Gang will be riding in the Race Across America again in 2010. We have a team. We have most of our crew. 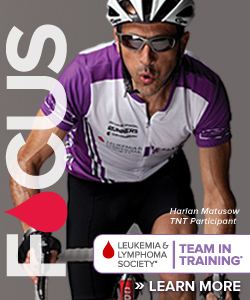 Most importantly, we will be riding for the Leukemia & Lymphoma Society again. The team will include Dave Armento (planning to finish), Frank Fuerst (planning to start and finish), Jerome Rossetti and Tony Myers. Frank is stepping back in to replace Dave Dowdakin who stepped in to replace Frank last year after Frank’s training accident took him out of the race. The team is already training hard, although the guys have spent a lot of time indoors the past few weeks with the cold and rain. Warren Bruno, veteran crew member from 2009, will be crew chief this year. Assisting him will be Jane Eastham. Everyone on the crew has a close association with the Leukemia Society – some have lost loved ones, some are cancer survivors; some are battling the disease right now. They all have a common goal of defeating it and helping others engaged in similar battles. In 2009 the team did well, especially in their rookie race, finishing in 7 days 8 hours 19 minutes. We won our age group and placed 5th overall among all 4-man teams. We are most proud of our accomplishment on the fundraising front. RAAM gives the Lon Haldeman awards each year to the team or individual that raises the most money for their selected charitable organization. We came in a very close second! We raised over $80,000 last year. Our goal for 2010 is to double that and ride away with the Lon Haldeman award! You are currently browsing the Georgia Chain Gang - TNT blog archives for January, 2010.